Making a rare red carpet appearance to promote her new film 'All About Nina', Mary Elizabeth Winstead attended the Los Angeles Film Festival world premiere yesterday evening(September 23rd) in Culver City, CA. 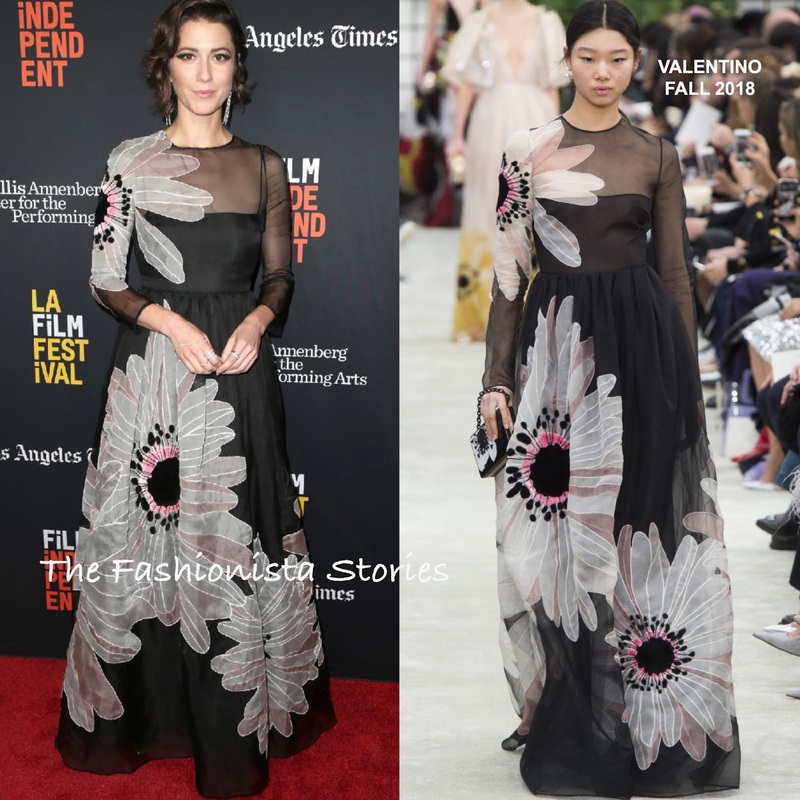 The actress was elegantly beautiful in a VALENTINO FALL 2018 long sleeve black semi-sheer floral embroidered layered gown. The over-sized flower details really sells this gown and Mary's simple styling allowed it to remain center stage. A complimentary beauty look, A29 earrings and the BRIAN ATWOOD 'Lorena' heels rounded out her sublime look.